We’ve got a long ways to go, but I figured it wouldn’t hurt to begin a “Best” list on next year’s Olympic Games in Brazil. Check out my NY Times Learning Network interactive for ELLs on the Rio Olympics, and the first American participant who wears a hijab. After reading about her, students identify correct word definitions and write about their favorite sport. Here’s the official Rio Olympics site. Rio 2016: 16 Fun Facts About This Year’s Olympics is from NBC News. Check out the first post I wrote for The New York Times — focusing on the Olympics. It was written during the London games, but many of the ELL activities are still applicable. The Olympic Museum’s Heroes! site is a must-see. The BBC’s Primary History site on the ancient Greek Olympics is very good. Scholastic’s Go For The Gold has some dated activities, but also a number of still useful resources. Word Hurdles is a game for English Language Learners on the history of the Olympics. 50 stunning Olympic moments comes from The Guardian. “Science Of The Summer Olympics” is a series of videos NBC has produced with the National Science Foundation. Fists of Freedom: An Olympic Story Not Taught in Schools is from GOOD. The New Yorker has a slideshow of Olympics-related cartoons from over the years. Several are quite funny. The Smithsonian Magazine has tons of Olympics resources, and I especially like the “Cheat Sheets” they have for each sport. Infographic: discontinued sports of the modern Olympics is from The Telegraph. INFOGRAPHIC: Olympic Physics is from NPR. Rio’s Troubled Water is an Associated Press interactive. Zika virus adding to long list of Brazil Olympics woes is from The Associated Press. ESPN has great animations about all the sports – click on “Fan Guide.” They’re from the 2012 Games, but still live and useful. ESOL Courses has lots of Olympic interactive exercises for ELLs. Some relate to the 2012 Olympics, but most are still relative to the Rio Games. Together: Olympic Inspiration is from David Deubelbeiss. Glory or Turmoil: Teaching and Learning About Brazil and the Summer Olympics is from The New York Times Learning Network. The 10 Refugees Who Will Compete in the Olympics is from The Atlantic. Rio Olympic torch relay is a photo gallery from The Boston Globe. VISUALIZING RIO 2016 is a collection of Washington Post infographics. When a Country in Turmoil Hosts the Olympics is from The NY Times. 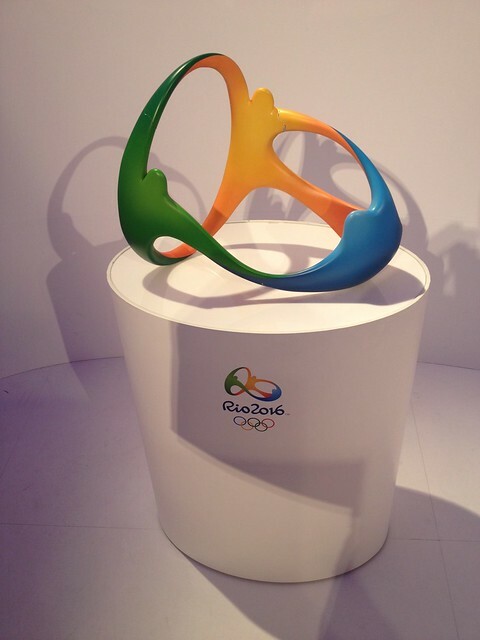 2016 Olympic Torch is an interactive from The Associated Press. 100 Olympians to watch at Rio 2016 is from The Guardian. Getting Ready for Rio is a photo gallery from The Atlantic. Ready or Not, Let the Games Begin is an interactive from Esri. Thanks to Google Maps Mania for the tip. Inside Rio’s favelas, the city’s impoverished, neglected neighborhoods is from Vox. Google has created a cool “Beyond The Map” interactive exploring Rio. Thanks to Jake Duncan for the tip. 14 Web Resources and Activities to Learn About the Olympics is from American TESOL. The 16 ads you’re likely to love the most during the Rio 2016 Games is from Quartz. How The Olympic Medal Tables Explain The World is from NPR (by the way, you can find all NPR coverage of the Olympics here). Photos of the Rio 2016 Olympics Opening Ceremony is from The Atlantic. Rio Olympic Games Opening Ceremonies is a photo gallery from The Boston Globe. Refugee Olympic Team: How Symbols of a Crisis Got to the Games is from NBC News. What Are The Worst Olympic Sports? is from Five Thirty Eight. Here’s a video about the Olympic refugee swimmer who used her swimming skills to save twenty people. Six Habits of Champions is from Fast Company. Political Tension at the Olympics: A History [Interactive Timeline] is from KQED. Rio 2016: Photos From the First Weekend are photos from The Atlantic. Rio 2016: Photos From Days 4 through 6 are photos from The Atlantic.